My grandfather, Sydney Patton, with my grandmother Ivy in 1964. I saw him in a dream. I was in a confusing place and was wandering aimlessly through a crowd. I didn’t see people or faces, just white shadows, and I was pushing my way through. Although everyone was familiar I was ignoring them because I was looking for something, or someone, but what or whom I did not know. Then the crowd parted and there he was: Skipper, my grandfather: A brilliant light radiating love and warmth. No face, no body, just a light. He was so strong and so bright that I began to cry. I missed his energy, his wisdom, but mostly I just missed his presence. And then I woke up, crying, sobbing; feeling the separation again after all these years. And the amazing thing was that I had not thought of him in a long time — he died in 1976 — but I could still feel his warm presence, his radiance as a unique human being, and somehow I could find him among all the other wonderful souls I have had in my life. For he was truly one of a kind, my grandfather Skipper. Sydney Nelson Patton (1882-1976) was born into the world of another era. During his life he arguably witnessed the greatest change of any generation: when he was young he rode horses, trains and read by candles but during his life he saw the advent of electricity, radio, cars, airplanes, TV and he watched men walk on the moon. During his lifetime the world grew from 1.2 billion (1880) to 4 billion people (1975), he saw the US engage in five major wars, and he lived under 17 US presidents, two of which were assassinated. Like many during those times his life was not easy but he never complained. The truth is we simply don’t know everything about his life. So I write here what I have been able to piece together from photos, documents, family stories and help from Ancestry.com. 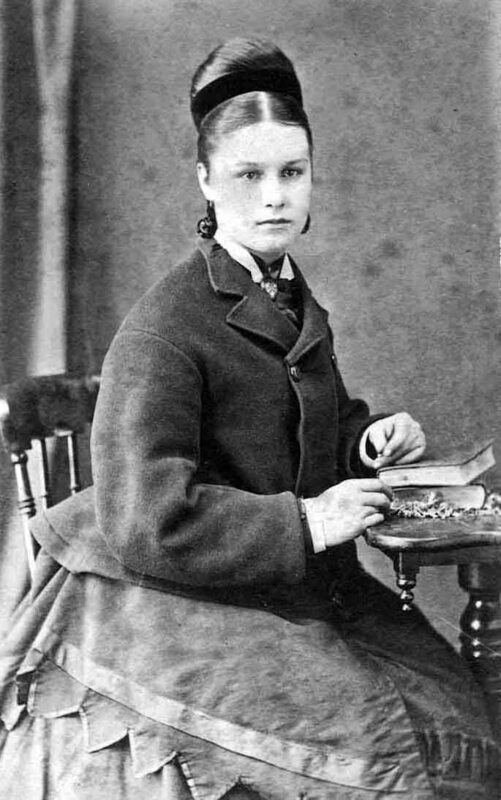 Skipper’s mother, Florence Harriet Bourne (1861-1886). With the Lord’s help, Aunt Jane, Cousin Florence and I ended up in a weather-beaten haystack not far from the house. We burrowed as far as we could in the sodden mess on the lee side of the wind. Spent the rest of the long night, guess it was about 1 A.M., wet, cold, scared speechless, living in a state of dumb shock not knowing if one would survive. About 2 A.M. the wind shifted to the north, then was when the real damage occurred. 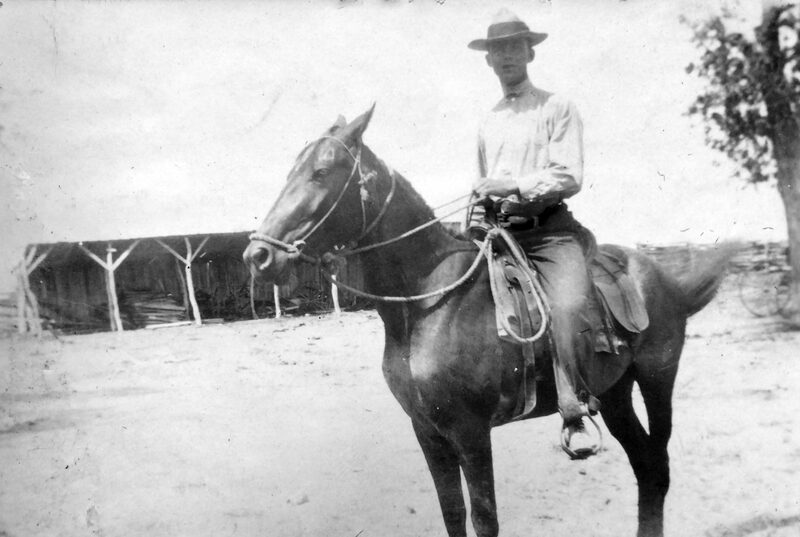 Sydney in 1902 in Galveston, Texas. We afterwards learned that when it took its toll of life and property, the old haystack gave a terrific lurch and we felt this is “IT.” But the old wet haystack was a good old faithful friend when sorely needed. It was then about 3 A.M. when the violent hurricane reached its peak. Time passed so slow. Wet, cold and completely miserable we almost reached our breaking point, getting to the stage where we were losing faith and hope fast. About 4 A.M. it was a wonderful sight to see streaks of daylight and feel the wind dying down. Slowly but surely it was DAYLIGHT. The beautiful Sun arose and behold it was a glorious sunshiny morning and we were Alive. First we solemnly thanked the Dear Lord for seeing us through to safety. Words can’t describe the wonderful feeling. But for a few cuts and bruises we came through a night of terror unscathed….Looking around us in all directions, death and destruction everywhere. Dead men, women and children, even babies, chickens, birds of all description, cattle, cats and dogs everywhere. Trees uprooted, big puddles of water, not an inspiring sight. 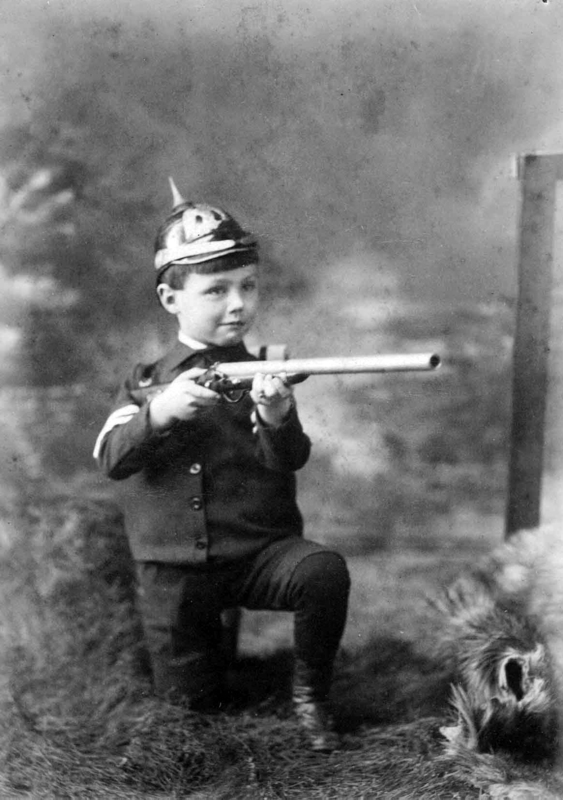 Sydney Patton in the Canadian Army. They then moved to San Jose,California before 1910. 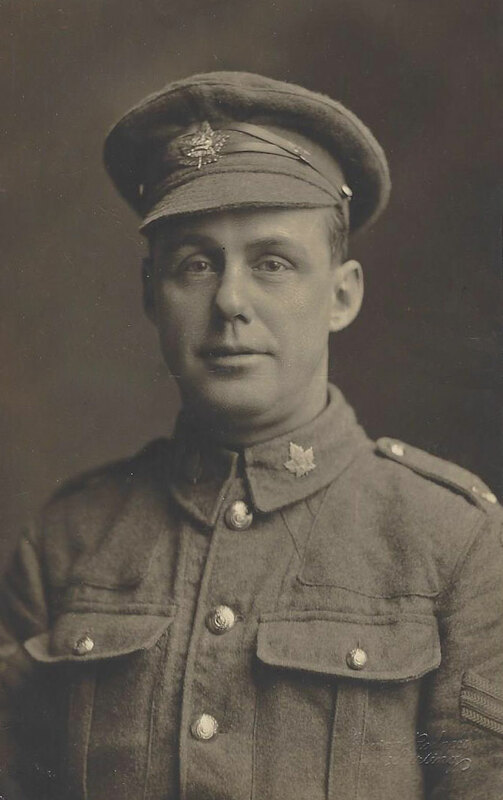 He next appears in British Columbia, Canada on April 26, 1917 when he joined the Canadian Over-Seas Expeditionary Force and then went to France. Growing up he told me he gave up waiting for the US to get into the war so just joined up. On his attestation paper he lists “lumberman and timekeeper” as his trades along with service in the California Infantry. 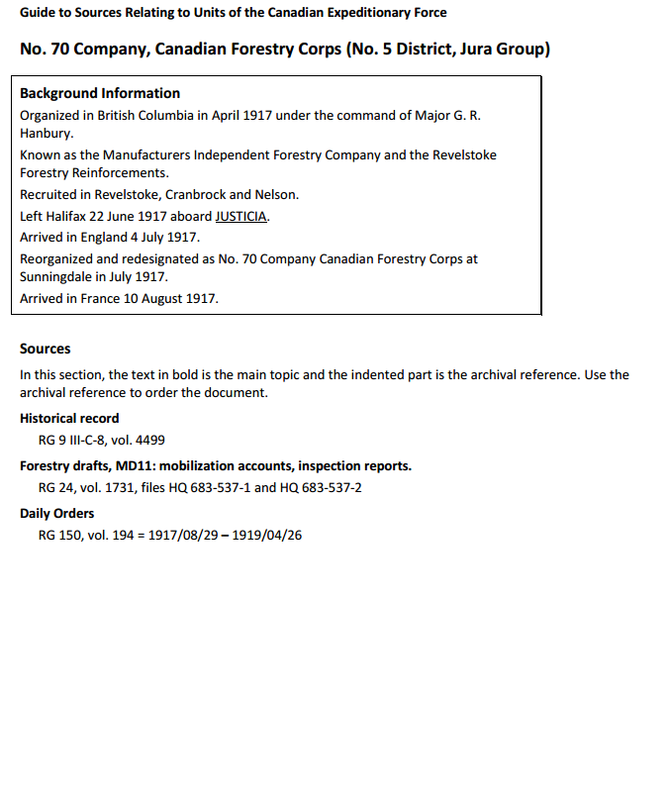 He worked for the Canadian Forestry Corps (No. 70 Group) which cut trees in France and provided wood for the front lines. Before he shipped out in Aug. 1917 he must have met his future wife Ivy May Kneebone (1896-1969) whose family had immigrated to BC, Canada from Gunnislake, Cornwall, England after her father had died in South African mines in 1910. The legend was that Ivy was an elevator operator at the new Empress Hotel in Victoria and they met on an elevator ride. I have letters from Syd to Ivy from France dated between Sept. 1917 to Oct. 1918 so they kept in touch during the war. Sydney and Ivy with my Uncle Pat, early 1920s. 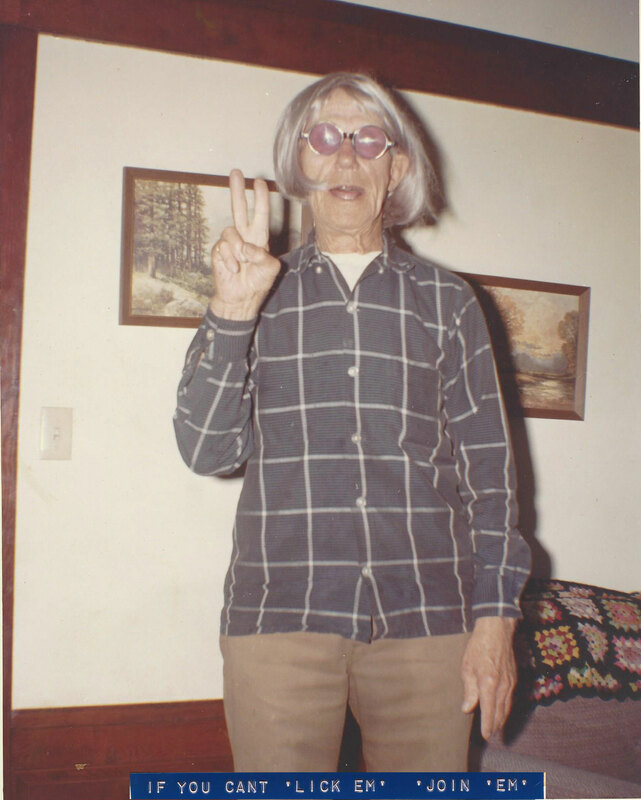 Whatever the story is they were married on June 3, 1919 and moved to Portland, Oregon where their first child, my Uncle Pat (Lawrence George Patton, 1920-2006), was born. The next 8 years years were rough for the young couple. 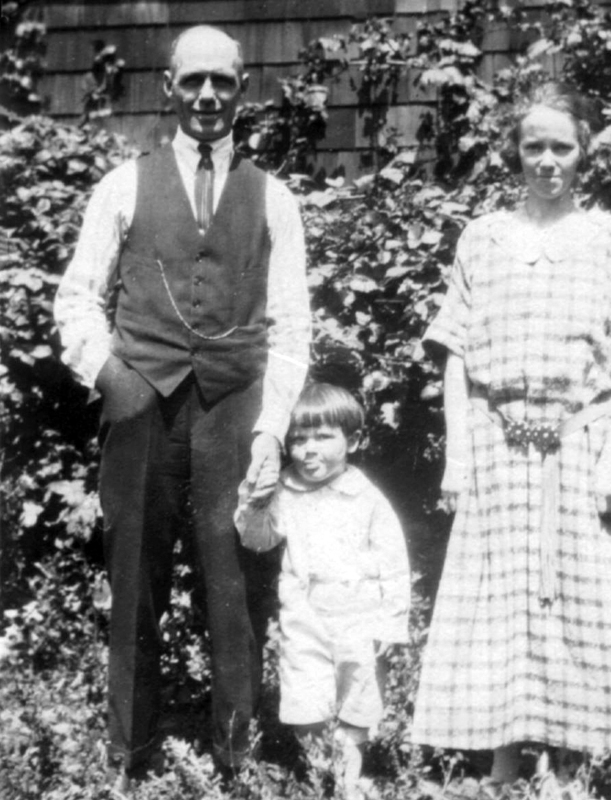 Their second child, Franklin Harrison Patton (1922) died from Diphtheria when he was 8 months old. 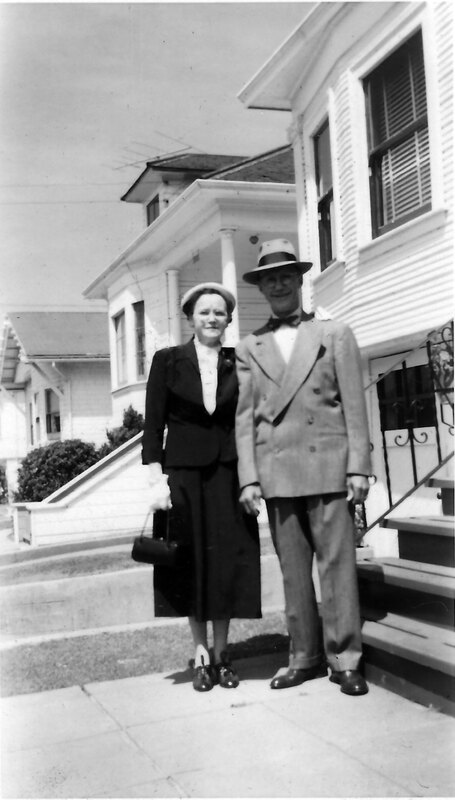 Shortly after that they moved to Oakland, California probably to live near Aunt Jane and Cousin Florence who had moved there before 1922, and gave birth to another son, Raymond Nelson Patton (1924-1928). Tragically, Raymond died from spinal meningitis when he was 3.5 years old, something my grandfather talked about in the 1960s with a great deal of sadness and anger at the hospital. Finally, in 1930, my mother Mildred Ellen Patton (1930-2003) was born. Syd and Ivy in front of the house on Poirier St., Oakland, CA in 1955 where they lived since 1938 prior to moving to Kales Ave.
Sydney, Ivy and Aunt Jane with my Mother Mildred in the mid-1930s. During the second world war, when my Uncle Pat served in the US Navy in the South Pacific on destroyers under Capt. Arleigh Burke, Skipper served as a local air raid warden and supervised black-out drills. He listed his job during those times as a “storekeeper.” In the mid-1950s they moved into a house on Kales Ave. in Oakland (off College Ave., towards Berkeley) which was given to them by Aunt Jane when she died. I remember that house well as I grew up playing in its unique spaces. I vividly remember the wonderful backyard with a large swing, full of the smells of nasturtiums, honey suckle and the source of their favorite jam, loganberries. There was a creepy basement below the house where grandpa carefully stored nails, screws, jars and stacks of lumber. When I was little it was a terrifying place but as I got older it was one of my favorite hide outs from my older cousins. The main house had a front living room, a centrally placed dining room with a small kitchen and washroom off the back that was grandma’s domain. There were two bedrooms on the main floor with a bathroom in between and an enclosed back porch where I used to hang out and read. Their house on Kales Ave, Oakland CA where Skipper and Ivy lived in the 1950s-1970s. The coolest part of the house, however, was the attic. At one point there had been a fire in the attic and Skipper covered up the blackened walls with magazine photos from Life, Look, National Geographic and other magazines. The photos were a world in themselves and I spent many, many days looking at them and playing in the attic when I was young. My favorites memories were sleeping upstairs in the attic with Skipper. He always listened to the radio as he feel asleep. It was a wonderful house but also had its share of weird vibes. 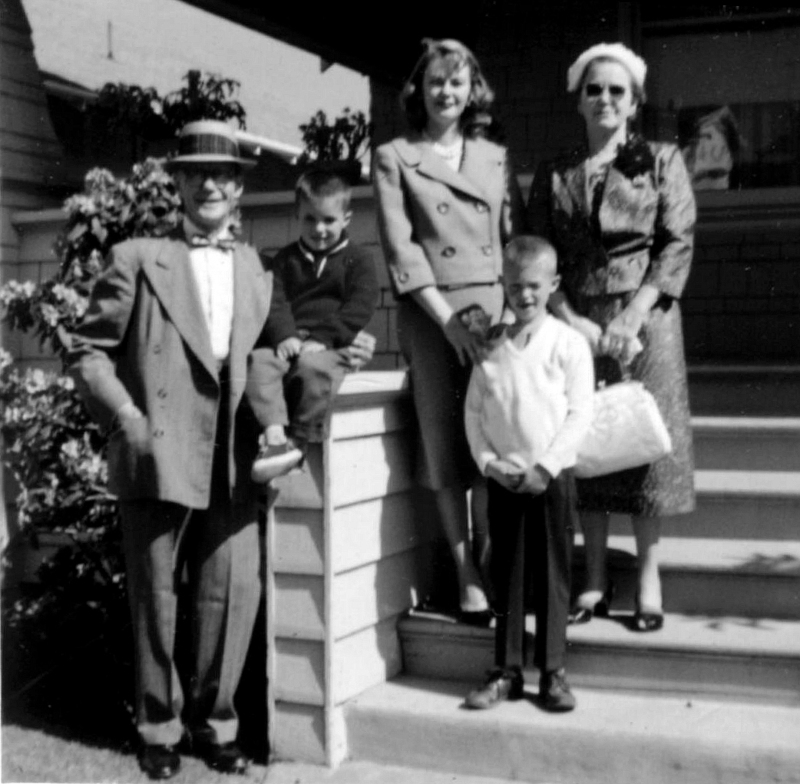 In 1940 Uncle Charlie (Charles Bourne, Aunt Jane’s brother) committed suicide with a gun in the back porch and in the 1950s many of Skipper’s family began to pass away in that house. 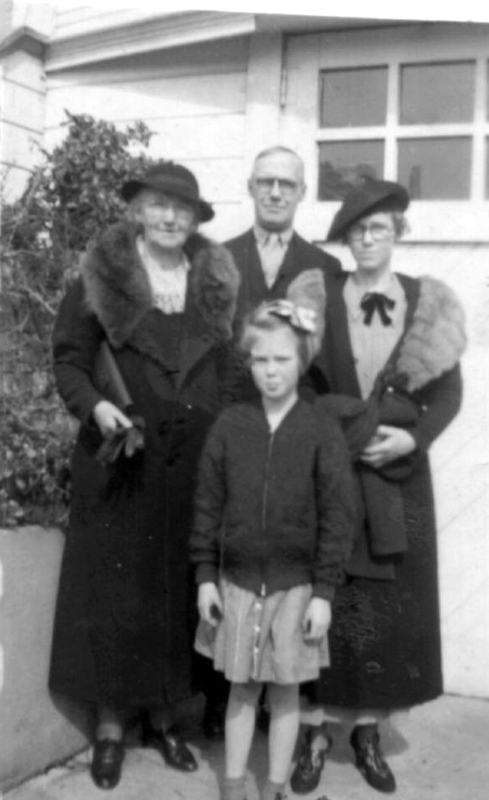 First, Aunt Jane in 1952 who died in the bathroom when she fell and broke her hip; then cousin Florence died in 1953. Syd and Ivy then moved there around that time and they both lived there until they died. Ivy passed away in the house after a sudden heart attack in 1969 where she literally fell into Sydney’s arms in the dining room. It was just a few weeks before their 50th wedding anniversary and was huge shock to all of us. She was just 73. Then Skipper passed away in the Fall of 1976 in the front room in a hospital bed from lung cancer. He was 94. My grandfather with (from left) me, by mother Millie, my brother Craig, and Ivy at the house on Kales Ave in Oakland. About 1962. What I remember most about Skipper was his humble demeanor. He had been through a lot in his long life but he was a simple man who just took life as it came. No complaining, no excuses; he just lived each day as best he could. He used to take me into San Francisco when I was young and he showed me which buses to take, how to get and use a transfer, and what areas of the city to avoid. Although he had a car he rarely used it. He had a strong presence and you just wanted to hang out with him watching TV, or eating, anything to be around his bright, radiant spirit. And he loved to tell stories. I remember when I graduated from high school I told him I wasn’t sure what I wanted to do with my life and he told me that he didn’t either and probably never would. I laughed and told him he must be joking but he just looked at me and smiled. I think this is why we called him Skipper: he was the captain of his ship, his family, which in 2016 consists of 6 grandchildren, 13 great-grandchildren, and 5 great-great grandchildren. And although he never gave out orders, it was clear that he was showing us all how to live, just by being who he was. Skipper in the 1970s — Going with the Flow. Please contact me, I have some information regarding the Patton Family. I am Alexander & Florence’s g.g.granddaughter.